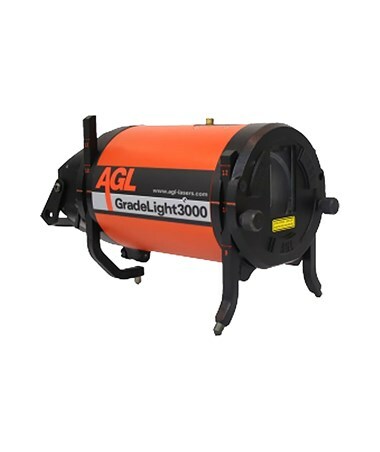 Used in most construction applications, the AGL GradeLight GL3000 Pipe Laser is the perfect solution for grading, pipe jacking, tunneling, and other jobs. 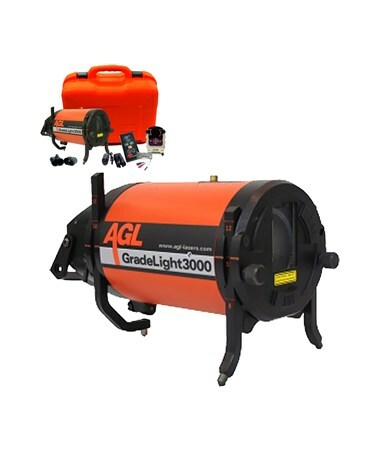 With a self-leveling range of -15 to 45 percent, this pipe laser offers a grade range of -10 to 40 percent and an accuracy of ±1/16 inch at 100 feet. Also, it comes with an automatic cross-axis leveling within ±6 degrees. 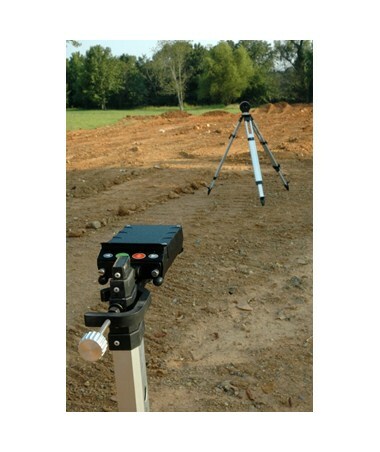 With an easy alignment feature, the GradeLight GL3000 boasts an operating range of up to 600 feet with the remote control. 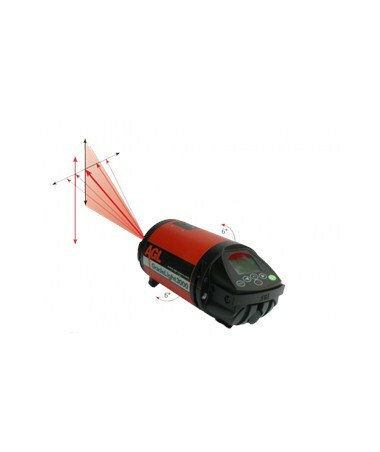 It has a rolling counter grade entry and comes with an azimuth range of 20 feet at 100 feet. 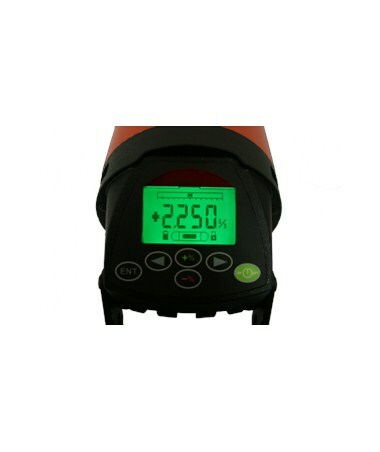 Plus, the GL3000 includes a line indicator and grade reference points on both sides that make it easier to set elevation. 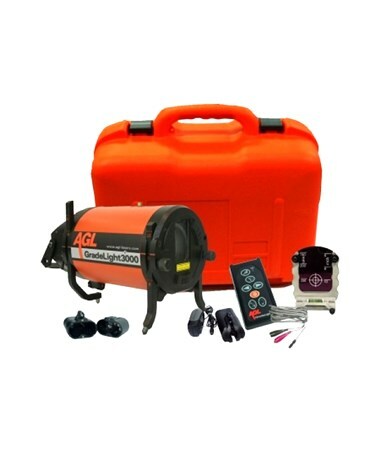 This AGL GL3000 pipe laser uses a Li-ion battery that runs the device up to 40 hours and up to 50 hours with alkaline battery. 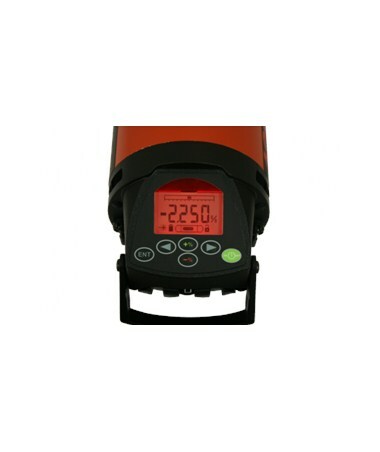 For ease of use on busy days, it can charge up to five hours. In addition, it includes a 5/8-11 female screw which is compatible with most tripod mounts. 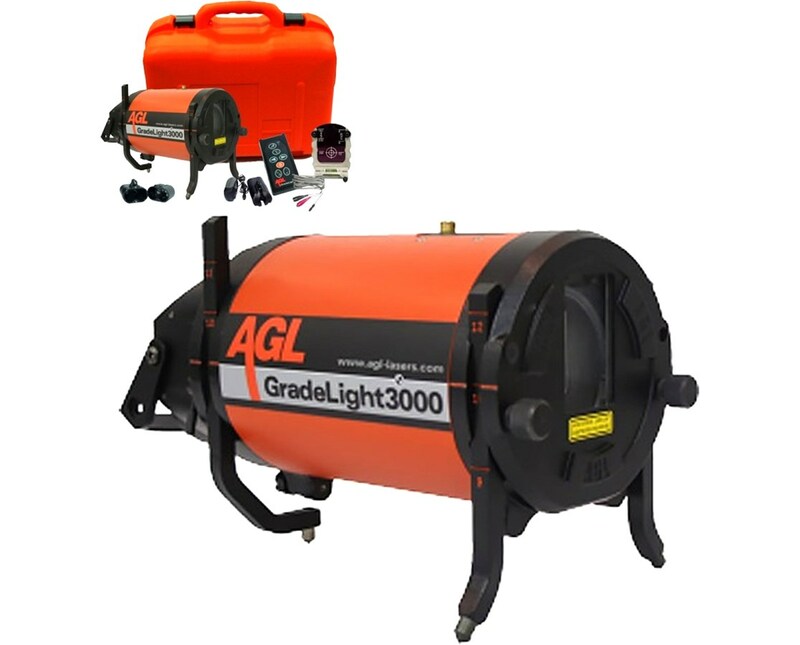 The AGL GradeLight GL3000 Pipe Laser offers four packages with varying accessories depending on your needs. Please select from the drop-down menu above. Length Narrow Mode: 5 ft. at 100 ft./Wide Mode: 10.5 ft. at 100 ft.